So, here we are again at Ziggy’s (you should know who she is by now) favourite woodland and water walk. This is where she gets to meet lots of mutts and people, and — she gets to run in the woods and play in the water — pretty much doggie heaven! After having had a good stomp through the woods, plenty of chasing squirrels in the undergrowth (never get’s anywhere near them), we get to Ziggy’s best place — the doggie water spot. Lots of fun here leaping in and fetching sticks; too exciting for words (barks). We are joined by a couple of other dogs and their owners — more fun now. Soon, a large group of people with their dogs arrive — all on the lead (15–20 or so, dogs). One owner comes and stands next to me. She has two beautiful dogs — a ridgeback puppy and a labrador — both on the lead. Both very excited — I suggest letting them of for a romp in the water. She tells me she is out on a group walk — dogs have to be kept on the lead — the walk is under the guidance of a local ‘dog trainer’. She frowns upon letting them off the lead. Let me be clear; we are in a fantastic place for dogs. To keep them on the lead is tantamount to cruelty, in my humble opinion. Dogs are social creatures and, deserve to be allowed the chance to do this as much as possible. Keeping a large group of dogs on a lead is NOT SOCIALISING them — it is stopping them from being a dog! 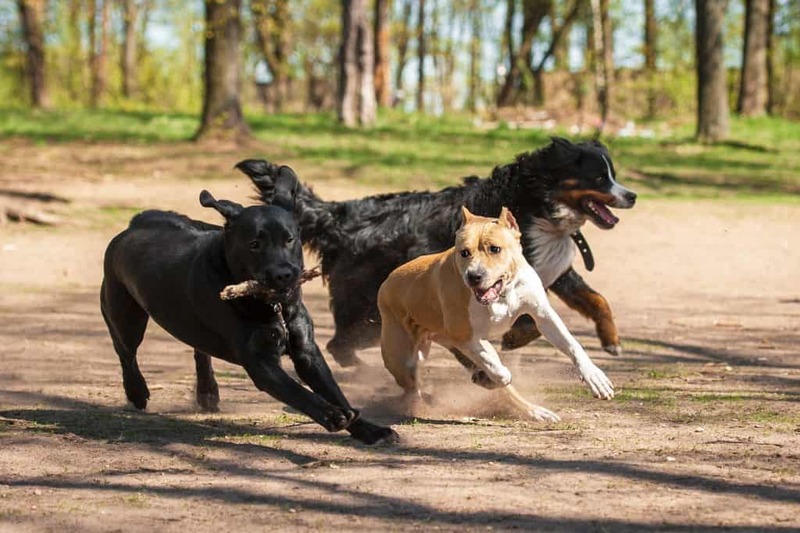 Quite a few of these dogs were, clearly, excited, some were, obviously distressed — they NEEDED to be of lead and enjoying the fun of playing and interacting with their own kind. This, unfortunately, is another example of a so called ‘dog training professional’ displaying a breathtaking lack of understanding of what dogs NEED. A couple of the walkers stayed at the pool while the rest moved on under the ‘guidance’ of their ‘trainer’. These dogs were then let of the lead and, hey presto, their demeanor changed completely — they relaxed, socialised nicely and had a romp in the water with the other dogs. The take home message here is, group walks are good, but, for goodness sake, if you are in a place where the dogs can be off lead, enjoying their own company — THEY SHOULD BE. Treat ‘professional trainers’ who do not encourage this with caution.